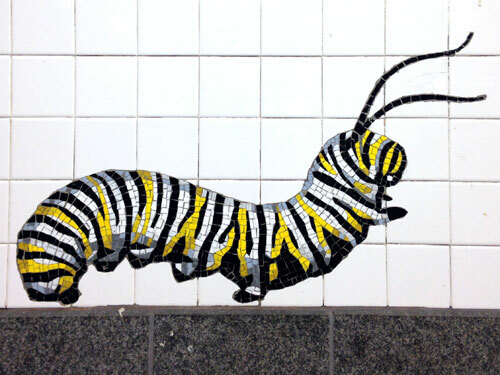 For Want of a Nail is a public art installation in the 81st St. subway station in NYC, right next to the American Museum of Natural History. Thematically related glass and ceramic mosaics, handmade ceramic relief tiles and granite floor tiles are installed throughout the station. 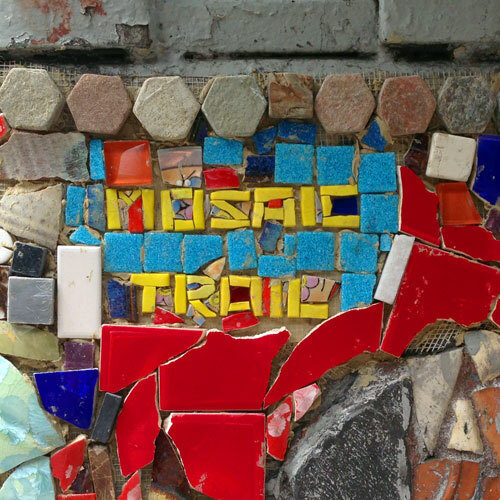 For as long as I can remember, the East Village neighborhood of Manhattan has been decorated with mosaics. Light posts are covered with bits of broken china, coins, mirrors, and other found objects, usually commemorating an event or acting as another level of wayfinding signage. A few years ago, I finally started photographing the work of Jim Power, a.k.a. the Mosaic Man. 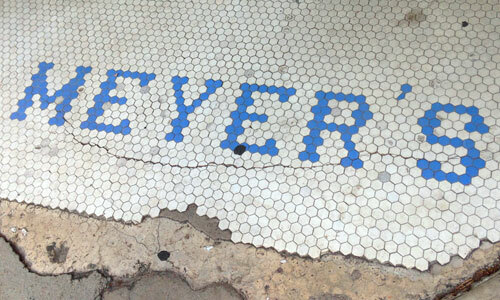 I don’t remember where in Denver I spotted the ghost tile for Meyer’s. Somewhere just west of downtown, I think. Anyway, nice lettering built out of hexagonal tile, and I love the apostrophe. Yay, hooray! 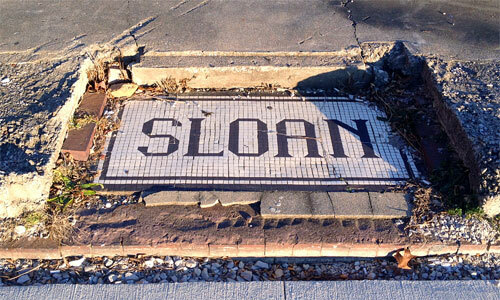 Our first-ever reader submission: Sloan ghost tile found on Maple St. in the small town [with an awesome name] of French Lick, IN. Thanks so much, Will Yokel! 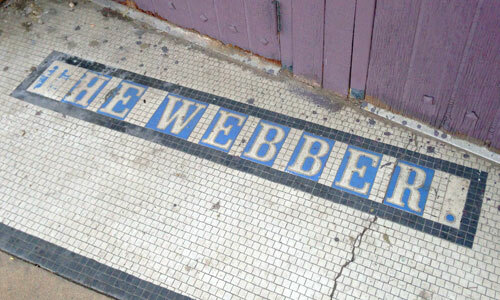 Kaliski & Cabay ghost tile spotted in Greenwich Village at 88 University Place, now the home of Scarpina Bar & Grill. I rarely see tile signs with such irregular letters, almost as if someone worked on this without a plan at all. London-born, NYC-based designer Keith Godard created the glass mosaic mural Memories of Twenty-Third Street to show the glorious hats that famous people from the 1880s through the 1930s might have worn. Above, Polish rockstar [and chemist] Marie Skłodowska-Curie.